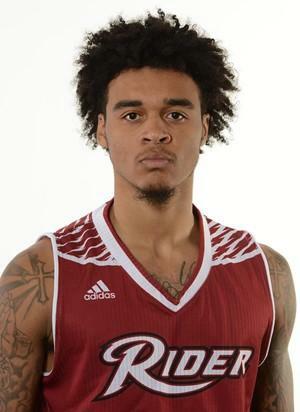 LAWRENCEVILLE, NJ – Stevie Jordan (Bensalem, PA/Conwell-Egan/API) led six Rider University men's basketball players in double-figures with 18 points as the Broncs erased a 16-point second-half deficit en route to an 86-85 victory over Marist, Sunday afternoon at Alumni Gym. With the win, the Broncs improve to 11-8 (6-1 MAAC), while the Red Foxes slip to 7-13 (2-6 MAAC). Rider established a 15-7 lead less than six minutes into regulation, before foul trouble started to mount, with Anthony Durham (Philadelphia, PA/Abington/Putnam Science) and Dimencio Vaughn (New York, NY/Callaway/The Masters School) each picking up their second personals by the 12:55 mark of the first half. The Red Foxes outscored Rider, 34-13, over a span of more than 12 minutes from the 14-minute mark until there were just over two minutes remaining in the period, giving Marist a 41-28 lead. The Broncs cut the deficit to 10, 44-34, at the halftime break. Frederick Scott (Munster, IN/Simeon [DePaul]) had 14 points and eight rebounds in the first 20 minutes, but the Red Foxes shot 53.1 percent (17-32), including 8-of-15 from long range. In the second, the Red Foxes extended to a 16-point lead, but the Broncs went on a 16-0 run over less than the next four minutes to tie the game at 59-59 with 8:46 left. A tie and five lead changes later, Vaughn gave the Broncs the lead for good on a bucket in the post at the 4:07 mark. Rider's lead swelled to six on a Jordan three-pointer with 2:23 remaining. Marist's Brian Parker made it interesting with a three-pointer with 2.5 seconds left, but the Broncs held on for the one-point victory. "What a comeback. It's tough to play against any John Dunne team. He does a good job scouting us. He must know me inside out. He must know what underwear I'm going to put on because he's on everything we do. He's a heck of a coach and his team plays well for him. We're just fortunate to find another way to win today. We make life interesting, yet these guys never quit." (On starting slow in the first half) "It starts with energy. We don't play with a lot of energy and we're not feeding off of one another like we do in the second half. We've got to find a way – we talked about it again today – getting out to a good start." - The game was the 59th in the all-time series with Marist. The Broncs now lead the all-time series, 35-24, including the last five. - The Broncs have won their last 16 games at Alumni Gymnasium and 19 of the last 20 dating back to the end of the 2016-17 season. - Rider had six scorers in double figures for the second time in the last four games after not achieving the feat since Feb. 16, 2011. - The Broncs erased a double-digit deficit for the third time in six MAAC wins and the fourth time in seven league games. - Today's win comes on the heels of a comeback from down 21 points with 10:30 remaining in the last contest against Marist, Feb. 10, 2018 in Poughkeepsie. - Rider returns to action Thursday, when it plays host to Saint Peter's at 7 p.m. on ESPN+. - After shooting just 39.3 percent (11-28) in the first half, the Broncs shot 64.3 percent (18-28) in the second, including 8-of-12 from long range to finish at 51.8 percent (29-56). Marist also shot the ball well – 50.0 percent (29-58). - Jordan finished with a team-high 18 points, four steals and three assists. His three assists pushed him past Jerry Johnson '05 into fifth all-time at Rider with 422 career dimes. Jordan's four steals give him 122 for his career, passing Harris Mansell '08 (121 steals) and tying Jim Cleveland '91 for 17th in program history. - Scott (15 points, team-high nine rebounds), Jordan Allen (Dover, DE/Dover)(14 points), Vaughn (12 points), Durham (10 points) and Tyere Marshall (Philadelphia, PA/Martin Luther King/Putnam Science)(10 points) joined Jordan in double figures scoring. - Devine Eke (Plainfield, NJ/Union Catholic [Maine]) made a strong contribution with five points, three blocks and three assists. - 15th in the nation entering the game at 8.9 steals per game, the Broncs had 11 steals on the day. Jordan had four, Durham added three and Kimar Williams (Philadelphia, PA/Constitution [Florida International]) chipped in with two. Eke and Scott each had one steal. - Durham made 3-of-4 attempts from the floor, continuing to hit on 75.0 percent (21-28) of his attempts over the last five games. - Rider outscored its opponent in the paint for the sixth time in seven MAAC games, taking a 34-28 edge. The Broncs have now outscored league foes, 286-212, in the paint for an average of +10.6 points per game. - Rider finished the game with a 34-33 edge on the glass. The Broncs also took advantages in points off turnovers (18-7), second-chance points (18-5) and fast-break points (25-13). - The Broncs turned the ball over just nine times, their second performance of fewer than 10 turnovers this season (6, vs. Cal St. Northridge – Dec. 23).